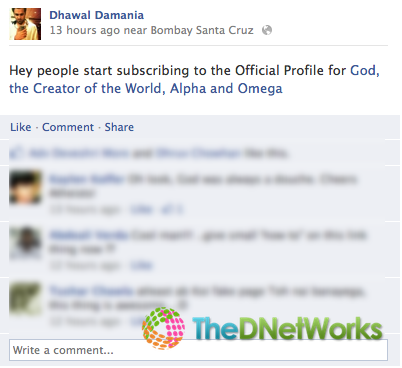 One of our readers have sent us an awesome tricks to Tag your Name or your Fanpage with any display Link you wish, confused? 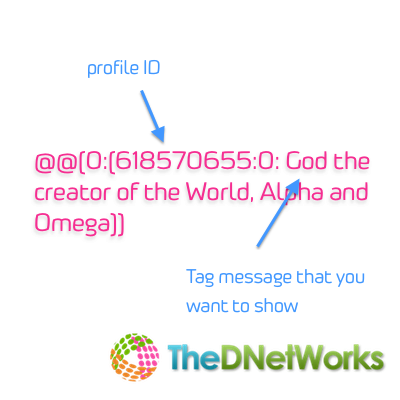 So, the tag you see below “God the creator of the World, Alpha and Omega” is not a Fan page or anything, that is like a tag which points back to my profile. This entry was posted in Facebook, How to's, Technology, Tutorials and tagged tag anything to your profile id facebook, Tag your Name or Fan page and display whatever name or text you wish on Facebook - Tips and How tO. Bookmark the permalink.